The presentation taught practitioners how to avoid common mistakes at trial that adversely affect their case on appeal, and the ways in which to preserve error for appellate review. The seminar covered pre-trial issues, such as pre-trial stipulations and motions in limine, as well as all phases of trial, such as jury selection, opening statements, admission and exclusion of testimonial and documentary evidence, expert witness testimony, directed verdicts, closing arguments, and jury instructions. Approximately 55 local practitioners attended the seminar. 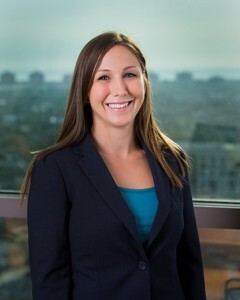 Amy M. Wessel is an attorney in the Fort Lauderdale office of Shutts & Bowen LLP, where she is a member of the Business Litigation Practice Group. Amy represents clients in a wide range of commercial litigation matters in state and federal trial and appellate courts. Her practice includes litigation involving contract disputes and business torts, real property litigation, consumer protection litigation, and class action defense. In addition to her trial work, Amy’s practice also includes working on all aspects of appeals, from drafting motions and appellate briefs to oral argument.